Is Metal Siding the Right Choice for my Home in Los Lunas, NM, or a Surrounding Area? Homeowners in Los Lunas, New Mexico, and the surrounding area that are looking for new cladding for their residence will likely come to the point where they need to decide what type of cladding is the right choice for their home. It is easy to get overwhelmed by the variety of siding styles and all of the benefits they promise however, local homeowners should end their search with a seamless metal siding. 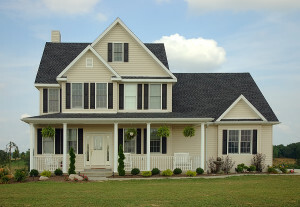 Thankfully, homeowners in Los Lunas, NM, and the surrounding areas, can turn to the professionals at ABC Seamless of Albuquerque for the most reliable siding installation services in the area. We stand out from other local siding companies by custom fabricating our seamless steel siding on-site at your home out of the most durable 28-gauge steel so that it will never crack, warp, or break even under the most intense of weather conditions. To learn more about the impressive metal siding options we offer to homeowners in Los Lunas, NM, and the surrounding communities, contact ABC Seamless of Albuquerque today. When you do, make sure to ask about the financing options available to all qualifying homeowners.